Shown (top to bottom): Navy(011), Maroon(023), Ivory(081), Forest Green(064). 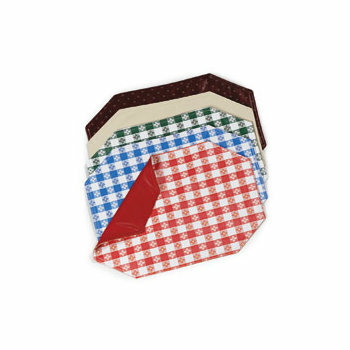 Double-sided placemats with attractive basket weave design. 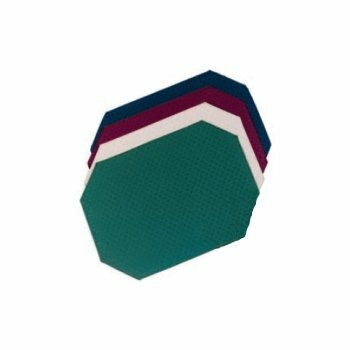 Can be used alone or on top of a tablecloth. Durable material with excellent soil release properties. Easy care, washable fabric maintains color and shape. Elegant woven tapestry design is a perfect accent piece for table runners, placemats and overlays. Poly/Cotton blend is fade resistant for excellent color retention. 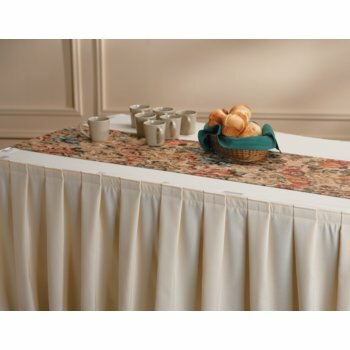 Durable fabric is perfect for heavy restaurant use and the poly/cotton blend is designed to offer minimal wrinkling and shrinkage. 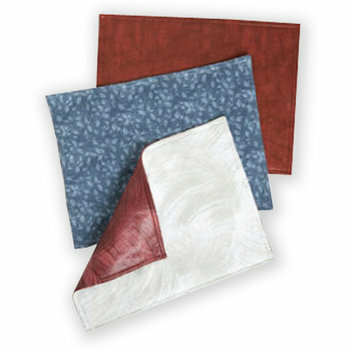 Absorbs liquids for easy clean up and spill control. Shown(top to bottom): 5701 Lavendar/Aqua, 5720 Mauve, 5705 Beige Burgundy, 5703 Charcoal, and 5704 Forest Green. Feature matching reversible upscale multicolored patterns on front and back. Simply wipe clean with a soft damp cloth between uses. All other ExpressionsTM Series patterns/colors available for a minimum custom order of 12 each. Feature designer patterns with coordinating solid color on back. 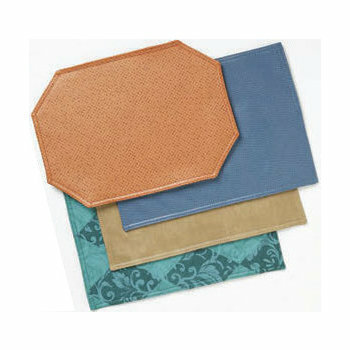 Versatile placemats protect your table, linens, or bar from spills and wear. Reversible design can be turned over to change the look of the dining area. All other Designer Series patterns/colors available for a minimum custom order of 12 ea. Shown(top to bottom): 5719 Maroon(023), 5763 Almond(037), 5717 Forest Green(064), 5717 Blue(002), and 5717 Red(001). Feature coordinated solids and prints. All of FashionTM Series patterns/colors available for a minimum custom order of 12 ea.